← Buy One Breakfast Entree And Two Drinks At Bob Evans And Get One Entree Free! Two Free Right Guard Xtreme Clear Deodorants At CVS! Print two of these Right Guard Deodorant coupons ($2 off one Right Guard deodorant), and head over to CVS by Saturday, June 21. 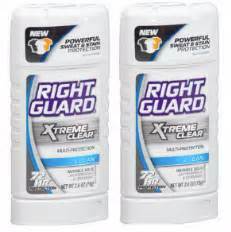 Pick up two Right Guard Xtreme Clear deodorants. They are on sale for $3 each through Saturday. Show your CVS Extra Cares card, and turn in both coupons. Pay $2, and you will get a coupon for $2 on your next purchase at CVS! It’s like getting both for free!